Posted June 16th, 2016 by Mobile Music School & filed under Music Lessons, Percussion Lessons. On May 27th, we had the pleasure of delivering a drumming workshop in Gaelscoil Thomais Daibhás. The results from our percussion sessions with the children from 2nd class to 6th class were superb! We worked with the children from the school choir, along with others from the school orchestra and also the younger students who had made their communion the previous week. The drumming workshop was planned as a treat for those who had committed so much to the school choir and orchestra over the school year – such a lovely way to reward the students! We have to say, the results and sounds created during the workshop were outstanding. Working in this school was a particular highlight for us, as it demonstrated the positive impact that music programmes can have on children. It was a pleasure to witness the benefits our classes have on students’ personal development. Each child’s ability to listen, follow direction and perform independently was clearly evident form the moment we began in the school. The Mobile Music School strongly emphasizes that the ability to listen, follow direction and perform confidently are a set of skills that have life long benefits to children as they progress towards secondary school, the workplace and adulthood. If you are interested in developing these skills amongst your students, we recommend you get in contact with us to make an appointment and to discuss programme options for your school. We offer a variety of different musical courses and lessons depending on your requirements. To book a consultation, please get in touch with The Mobile Music School through our contact page. 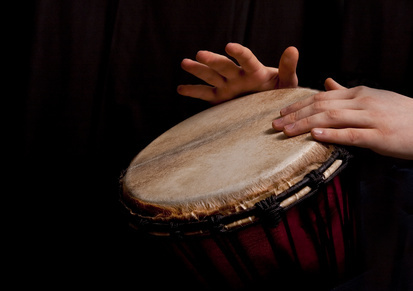 If you would like to find out more about our drumming workshops for primary schools, you can review our lesson programmes here.